I did a foray into The Warehouse recently to pick up one item and got caught in a major deluge! To pass the time I wandered the aisles and managed to find enough things to fill a trolley that needed to come home with me. But they were all great things, and reasonably priced so I thought I would include them in this post. OK, so sometimes just something small is all the budget will stretch to, and sometimes something small is all we need to lift our spirits a bit. The Daughter has caught the cooking bug in a major way (thank you Jamie Oliver) and seems to spend large periods of time in the kitchen at the moment. I bought this spatula because it reminded me of her sunny deposition. And it was just @$3.00 – and it has coloured sprinkles on it. Sweet. Wile we are talking about the kitchen, one of my strongest memories of my Mother when I was small, was standing in front of the kitchen sink helping my Mother all the while standing on the ever-present mat. 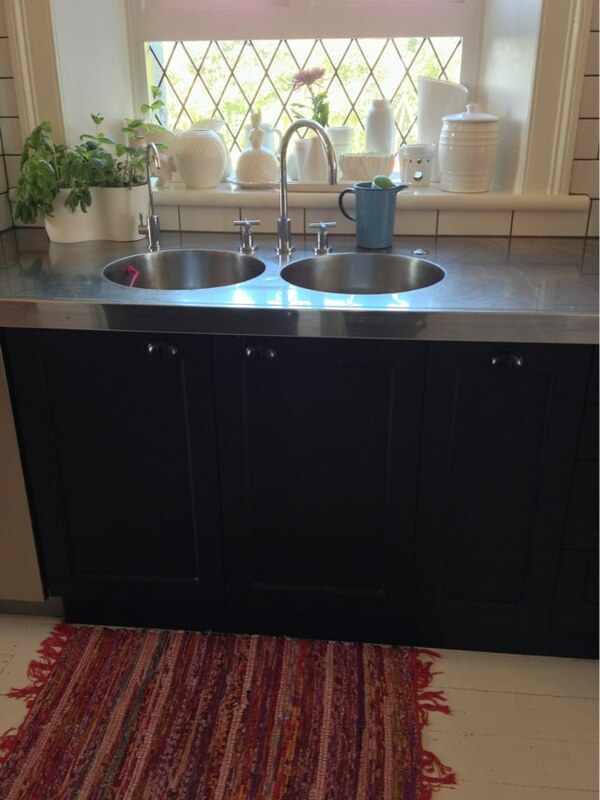 I used to think it was a a bit of a naif idea to put a mat in front of the sink until I had children of my own and realized how much mess they make doing/drying/creating dishes. So now I have a mat. The most current one is from The Warehouse and it was @$9.00. And every time I look down and see it, it makes me smile. 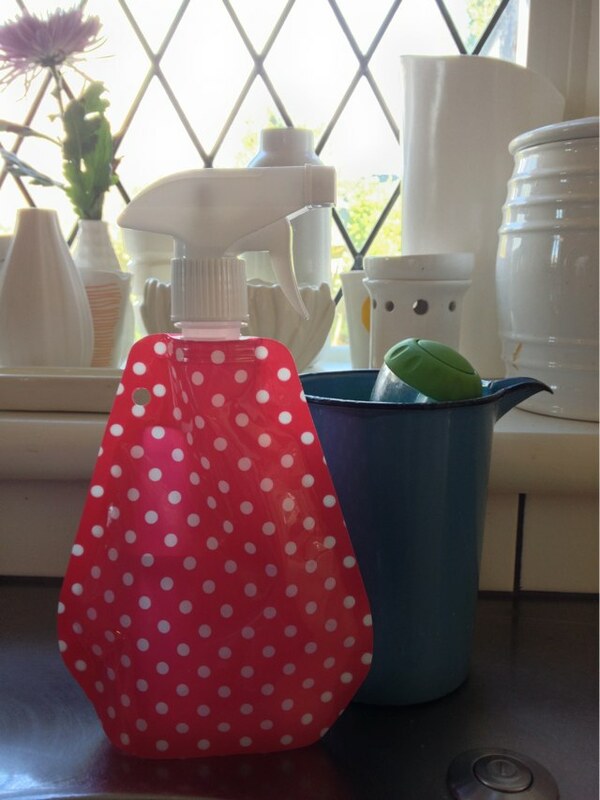 The other thing The Daughter is into at the moment is making her own cleaning supplies (yes really), I was quite pleased to find this collapsable spray bottle for just @$3. I can’t ever pass up red and white polka dots. Ever. 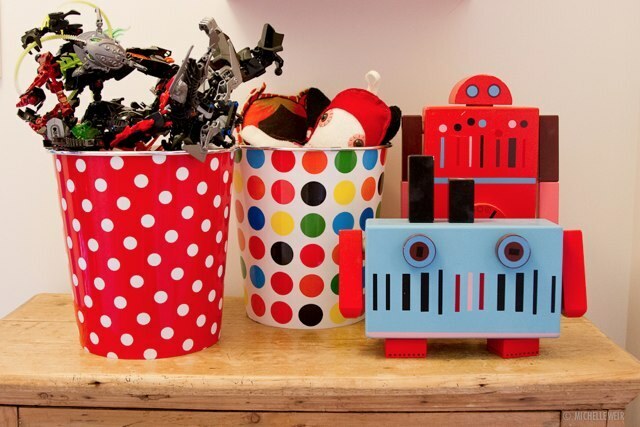 So that meant I couldn’t pass up these rubbish bins which have ended up being used to sort toys in our house. 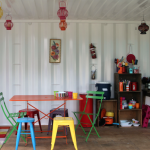 I wish my children weren’t obsessed with large amount of plastic – but they are. I like to have them vaguely organised – and these help. And they are just $3.00 – so you will be organized and thrifty. A good combination. My Eldest Son’s obsession with dinosaurs shows no sights of abating even now he is officially a Teenager. So dinosaurs find there way into the house in a miriad of ways. Collected has some great ceramic origami stegasaurous’s at the moment. Republic has some large white plastic T-Rex’s. And The Warehouse has some great planters shaped like dinosaurs. I do have to say that I spent a LONG time traipsing around about 4 different stores after I saw these dinosaurs on some-one’s instagram feed. But I am pleased I finally found them. At $19.00 they are the most expensive thing in the post – but they were money well spent! Use a testpot to paint the legs of a stool different colours, or the front of a drawer a new colour – just one for a bit of fun. 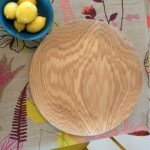 Or a small lampshade – paint the base (if it is wood), or the shade itself for a change of colour and texture. 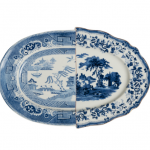 Have a go – it is amazing what you can create in an afternoon! 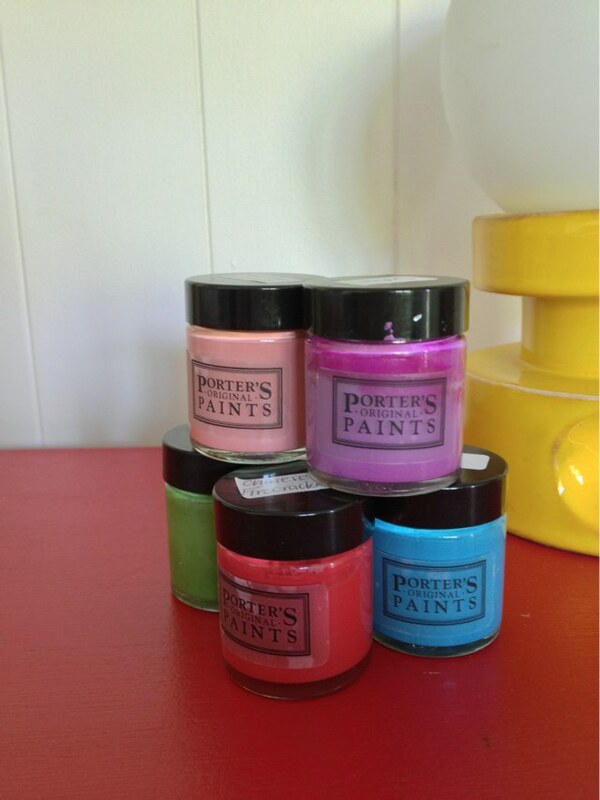 These are all my favourite colours at PORTERS PAINTS at the moment. The Cerulean Blue is called Seven Seas, the red is called Chinese Firecracker, the melon is called Watermelon Margarita, the deep piny purple is Sofia and the green is Peridot. 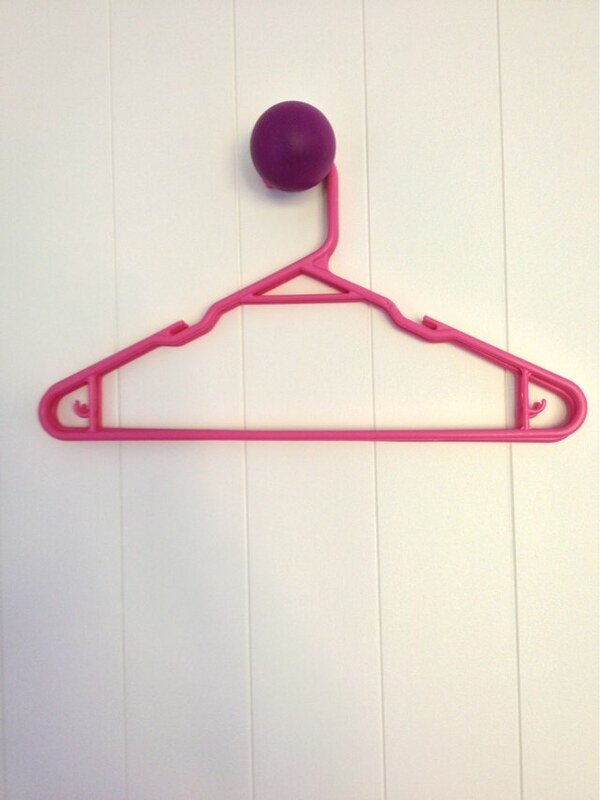 I have just painted a wooden ball for hanging clothes on, Sophia and the other two wooden hooks will be Peridot (kelly green) and Oompa Loompa (bright orange) – when I get around to doing it! Oh course I own the same spatula. The best. Great spys Anya. Ohhhh… does it? That is an excellent wee tidbit to share 🙂 So go to the $2 Shop in St Lukes for a bargain!! I am about to move into the tiniest of cottages and need to store most of my things, so your post has made me very happy that I can fill it with wee happy things that make me smile. Thanks! Oh and I love MOR! Having done the ‘store all our things for months on end’ thing while we were renovating, I feel your pain Lisa. But I also see the bright side. 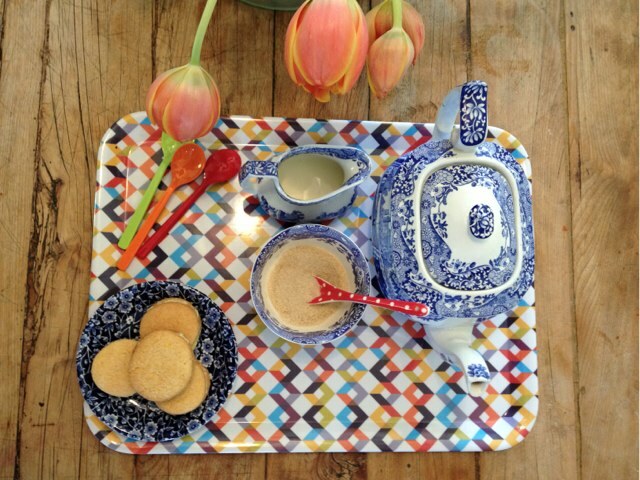 Small = easy to keep tidy and a little goes a long way with a few new treasures. I stumbled on the gorgeous dinosaurs at the warehouse a couple of months back & coincided with a 5 year olds birthday. The colour was a bit ‘muddied’ so a quick scrub & sprayed with one of my many lovely spray paints in a vibrant turquoise ( the French art shop has the most amazing selection of colours & fantastic quality) I then presented as a pen holder filling with lots of vibrant felt pens. Master 5 loved it!! I must say I am also a fan of the Alison gofton sistema baking range. 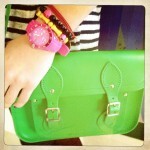 The most beautiful minty green & when on sale at 50% off a bargain ! That sounds fantastic! Mine where both in good condition and are now on his bedside table with pens in one and a few lego mini figures in the other… Funny you should mention that bakeware as it is scheduled to go in a post next week! And I didn’t realize it was on sale either. I better get down to The Warehouse and get some more for my baking-mad Daughter. Thanks! 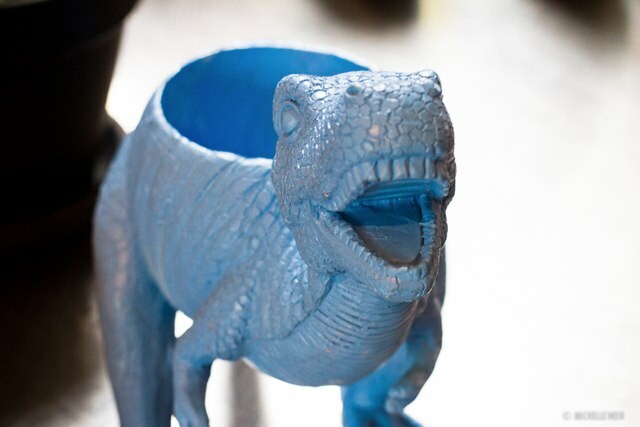 The dinosaurs (when you can find them) are to be found in the gardening section – they are planters! Was just at the Warehouse this evening, and saw plenty of trays, so hopefully you can still find them 🙂 Good luck! Love the collapsable spray bottle! I make my own cleaning products too. Love your finds! 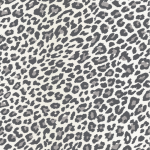 I am constantly wanting to add new items to the kitchen and other parts of the house but feel super guilty in spending constant money on items for the home. 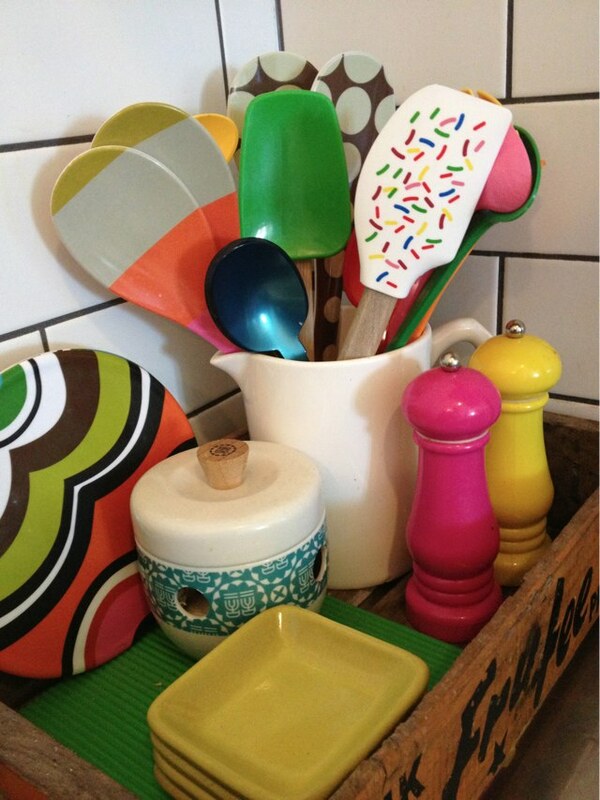 Love all the bright colours for the ‘pop’! Please do more posts like this one – it was a great reminder that style has nothing to do with money. I definitely would agree with you Rachel, and though it is nice to get beautiful (expensive) things, sometimes the trade me, warehouse, $2 shop bargains are surprisingly the ones that bring me the most joy. Have a post coming up on all-black cheap chic (have to cover clothing), and my favourite pieces from Freedom’s current collection with some things under $20. 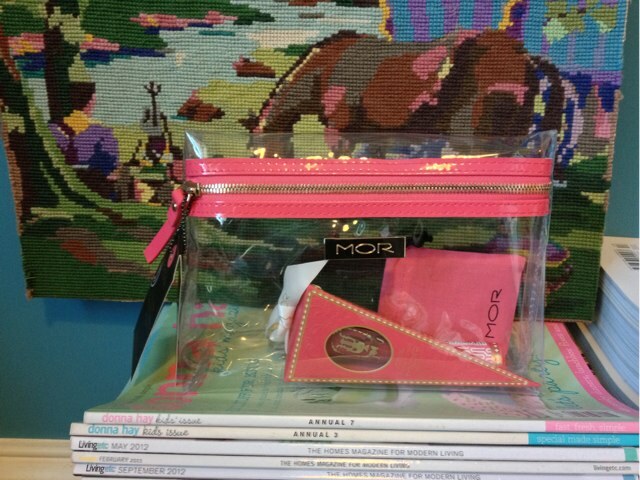 Rachel Andrews, you have won the MOR Cosmetics pack, please email me your address! Excellent! The spatula is a whole of happy though – well done, The Warehouse!